Self-driving automobiles are one of the most exciting developments in the automotive field and are expected to be ready for public release within a few years. These futuristic cars can operate themselves, determining when to speed up, when to brake and when to turn without relying upon the judgment of a human driver. The way it works is that the vehicle is equipped with an extensive array of sensors, including cameras and LIDAR (Light Detection and Ranging), that enable it to gather information about its surroundings in all directions. This data is fed into the car’s computers, which create a detailed, 3D model of the world. Using the model along with inbuilt map data, the vehicle can take the appropriate actions to navigate through traffic and get to its destination. The early leader in designing these cars is Internet search titan Google, which has been working on a self-driving car project for several years and has begun testing units on public roads. Tesla Motors’ CEO Elon Musk has recently stated that his company will be implementing an “autopilot” mode on the Model S sedan through software upgrades rather than the installation of new equipment. Meanwhile, Baidu – China’s equivalent of Google – has partnered up with BMW to release a driverless car by the end of this year. Other firms, like Audi and Jaguar, are busy attempting to implement their own versions of driverless technology. Besides the increased convenience that will come from being able to sit back and relax while your car drives itself, there are plenty of ecological benefits to the development of self-driving automobiles. Most of the units currently being worked on use electric batteries for power instead of relying upon gasoline. This, by itself, will mean that pollution and net carbon emissions will be reduced significantly as people begin to embrace driverless cars. As more renewable infrastructure, like solar charging stations, comes online, this advantage will only get larger. Further environmental gains will come from smarter driving techniques. It’s highly likely that as more and more consumers switch over to this new type of automobile, there will be plenty of communications between units. After all, with the Internet of Things, thermostats, security systems, and other home appliances can talk to each other to improve performance, and there’s no reason why cars won’t do the same. By cooperating to keep moving at steady speeds and maintain closely spaced formations, vehicles will lower energy expenditure as wind resistance and unnecessary braking are avoided. Automatic parking space allocation could have a major impact because searching for parking is an endeavor that currently takes up a lot of time and fuel. 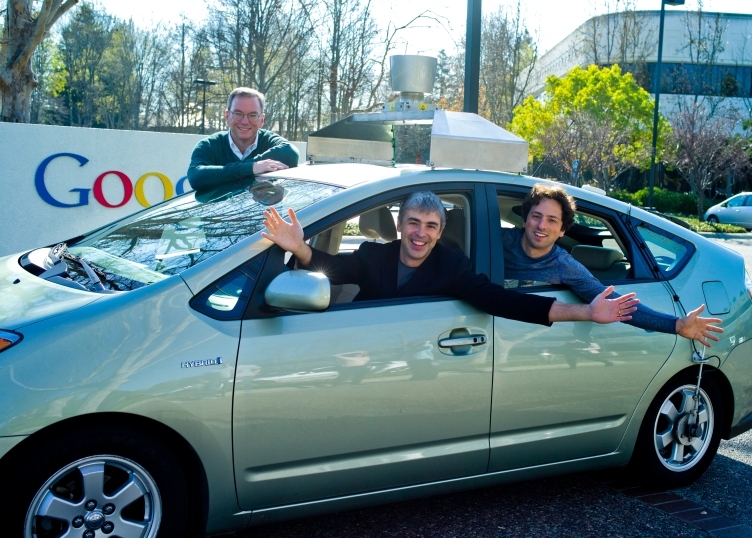 Another change may come in the actual construction of the driverless cars. Testing so far has shown that automobiles controlled by computers are much safer than those driven by humans. If flesh-and-blood drivers are replaced by machines, we could see accidents become rare. Manufacturers will begin to discard now-standard safety equipment, making cars lighter than ever before. This in turn will mean that it will take less energy to propel a vehicle, cutting down on energy requirements even more. There are some arguments that more total miles will be driven when self-driving cars become a reality. The disabled, blind and elderly will flock to the new tech in droves, lured by its promise of independence and easy travel. However, most experts believe that the inherent eco-friendliness of these new automobiles will more than offset a higher number of miles driven. We probably will see more automated features creep steadily into standard cars until the day when the first fully self-driving model hits the market. While it will probably be geared towards wealthy customers, it’s only a matter of time before this technology trickles down to the masses. When that happens, we’ll see driving change from an inherently selfish and pollution-generating exercise to one in which green automobiles cooperate with each other to make our lives more convenient and our natural surroundings more healthy.